We do the prep work, you do the cooking. They will be ready when you are. We clean and cut red potatoes for you, we shuck the corn on the cob, layer the onions and add spices and butter. We have put together a list below of our most popular Bucket combinations. You can also create your own Bucket to Go. There are no rules as to what goes in the bucket, so get creative! Prices subject to change due to the market without notice! 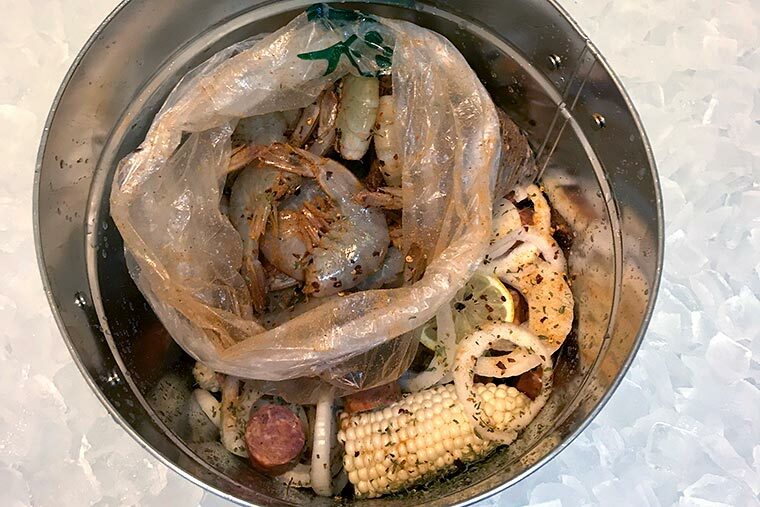 All Seafood Buckets To Go are packaged per person with red potatoes, corn on the cob, Vidalia onions, spices, cocktail sauce, butter, lemon and your choice of seafood. 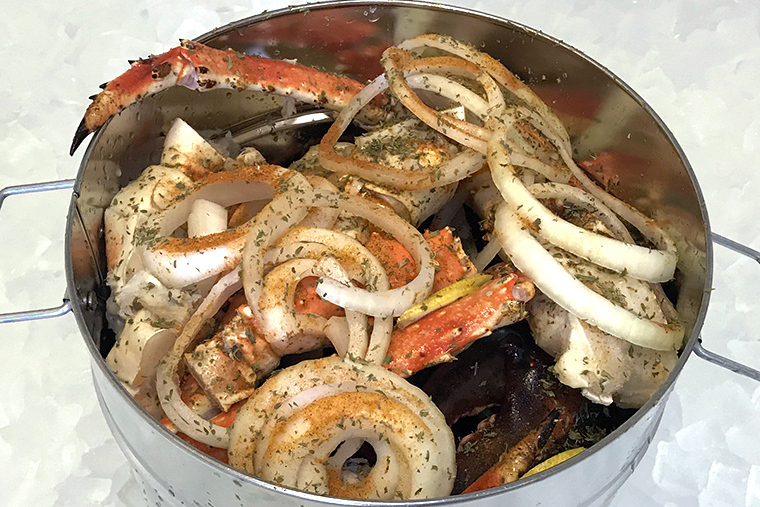 Build your own pot for $8.00 a person plus the cost of seafood or you can choose from one of our combo’s as priced below (no substitutions). 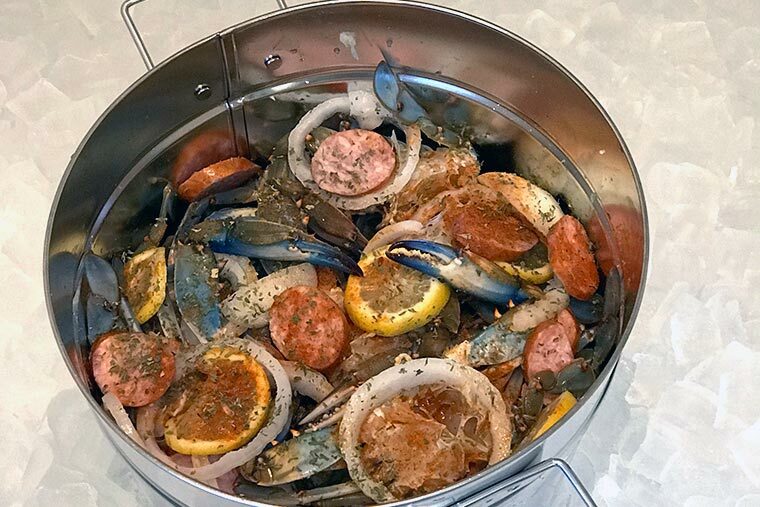 Additions are welcome for the cost of the seafood. You can add shrimp pork sausage, andouille sausage, cajun smoked sausage, or kiebalsa sausage for the cost of the meat. There is a 2 person minimum on all buckets. 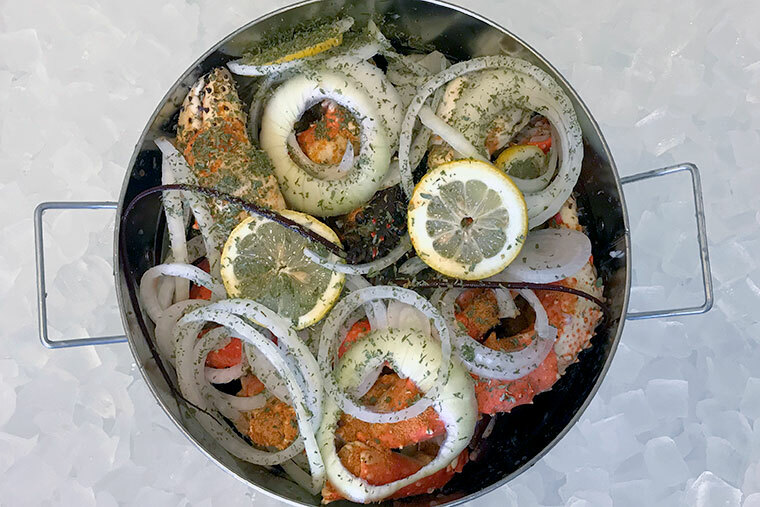 We only supply top quality seafood, however, for optimum enjoyment it should be cooked on the day of purchase.